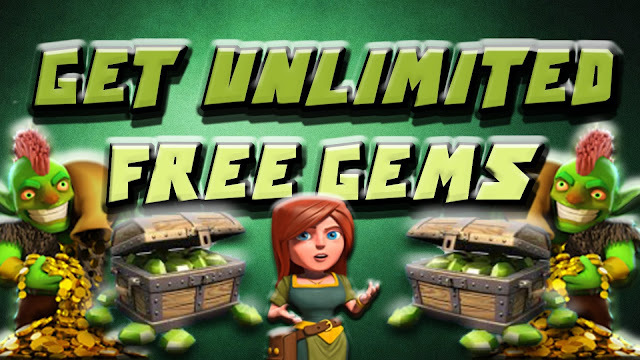 Heres How To Get Free 20,000 Gems In Clash Of Clans! Valks and Bowlers are really strong right now that's why this base does not work against such attacks (this style of base is pretty old...). A base that would work is a spaced one, means that the structures are not clumped up so the valks have to destroy each building individually. Asumetry would also be good against valks... I could build a base against valks if you want but I'm not experienced with building those bases. Maybe it is worth a try. hello, since valkary has been destroying the base which i have used so far, does this base have any way defend against valk, golem and wiz attack . would love to get some ideas or help to find a anti valk base. Ignore the other comments about "Free Gems" it's all a scam to get you to download dodgy software which doesn't even work. The only way to get Gems in Clash of Clans is to buy them with a google play gift card or bank card. I've been using Earn2Game to get free google play gift cards to buy gems with, all you do is complete small online tasks to earn points, then trade your points for the prize you want. if you are in a low league you are most likely attacked by ground troups with my own experience, so I would set both to ground if this is the case. But if you are somehow attacked by air troups much as well I would set X-Bows to air. I think skeleton traps are more effective when they are on ground in any case. In a high league you can get attacked by every kind of attack, so X-Bows must be set to air. I hope I could help you. maybe because this layout is old as well? I posted it 7! months ago so yeah those are now easyer to beat because most people know that they have to GoWiWi the Base or just break the ring. Anyways, thank you for giving the base a review. Overused base. Everyone uses it now. Easy target. Hey sayzus, can you give me information from what you were attacked? I mean when you were attacked by a th10, I can not do anything about it... Th10 attacks will destroy most of the times a th9 base. What I have to mention is that this plan is before the th11 update, those plans were preatty popular and I described why they were so popular. I also would not suggest to use this base at a clanwar, if you did. That base is bad against for example GoWiWi because witches are spawning more skeletons than a th9 defense would withstand. As I said please tell us what went wrong, maybe we can fix a problem! dumbest plan I've ever seen in my life!!!! i've th9 full and all of attackers have destroyed and got 3 stars :( !!!!!!! Hey Lord_Vader, also thanks to you for reviewing my base, so that the other ones can get an idea of the base. Have been using this base since the update, is really solid against most attacks. Barch and GiBarch don't stand a chance against it. A maxed TH9 GoWiPe can2star this base relatively easily if using a jump spell and I have gotten 3 starred a couple times as well, but usually from TH10 GoWiPe. Now considering that is arguably the most powerful attack in the game at the moment a two star is about all you can ask for. Without a jump spell they manage to only get 1 star a majority of the time. Overall a solid base, suprisingly good at defending the storages as well. I am a TH9 with max defences, heroes 20/20 and walls 9/10. I have been using this base since the latest update and it has been really effective. Attackers have destroyed my core only 3 times, however everytime they have used a jumpspell. If an attacker uses a jumpspell this base gets destroyed very easily, without a jumpspell troops will run in circles and die very quickly without destroying too many storages. Finally, i have not been attacked by massive air attacks, so I can not comment on that aspect. Overall great base, which baits people in attacking you granting fairly cheap shields (on average 8 out of 10 completely fail a raid on my village)! Hey JESTSTAR, from what are you attacked most? If it is like LavaLoonion a Dragon would be good. By ground attacks I think Balloons with a mixture of Archers and Wizards are good because Balloons and Wizards are making a great deal of damage. The Archers are also thrown in because you can not poison every troup at the same time. Dragons are weaker for ground attacks because they can be poisned very easily and be taken down from Wizards and the Archer Queen. I'm not missing any walls. You guys must have missed something. This base is working great. What is best to keep in the Clan Castle for defense? Hey activojulian, I can't take more walls in the layout in clash of clans builder than there are in the game itself. You can also make a base than you can see it. Please look more deeply, maybe you made a mistake at building the base but thanks for asking. I AM MISSING A WALL MAN O.O anyone out there with the same problem? Thanks all of you for giving me feedback! Bouke 2000, thanks also to you that gave me feedback. I could build another base maybe it is better than this one. Thanks Fatbaztard (to add your name is funny xD). No Wapahegan, look closer maybe you didn't built it correctly. Again Thanks for all of your comments! Not sure if it's just me but I'm missing 1 wall??? I'm usually using Farm Layouts. Due to the upcoming changes I will give your layout a try. We will see how it works. original se7en, thank you for your review. I just want to say that every new TH9 gets owned with most of the layouts that excist by good attacks. You can really avaluate a base when it is half upgraded or fully upgraded but as I said, thanks for your comment! I'm a new th9 and got owned by real attacks with this base. NEVER!!!!!!!!! believe those guys, they only want your Account. Thanks for the good review ihavecancer! Joepyo, point them how you want, if you get often air raids in defence point them to air and ground. i dont have 3 wall lol wtf? How do you point the x bows? This base is amazing. im using it right now and im in masters 1 just from defence wins. the only attack that gets this base 99% of the time is archer queen+healers, but this can be defeated by placing the air bombs closer to the townhall. 10/10 base i really like it and it works very very well.